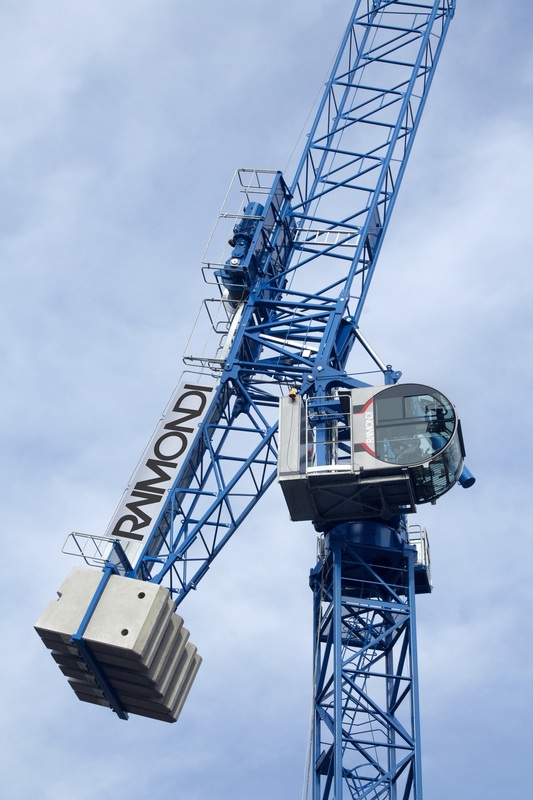 The Raimondi LRH174, a 10 tonne hydraulic luffer, has a tip load of 2,225 kg in Ultra-lift mode with two falls.. The tip load is 2,225 kg in Ultra-lift mode with two falls. 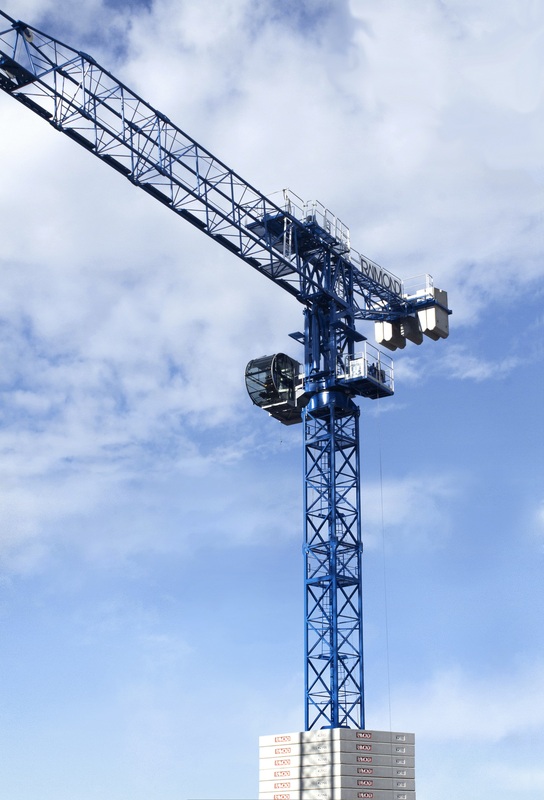 The crane can also be utilized in one fall, which allows for a maximum capacity of 5 tonnes and a tip load of 2,476 kg. 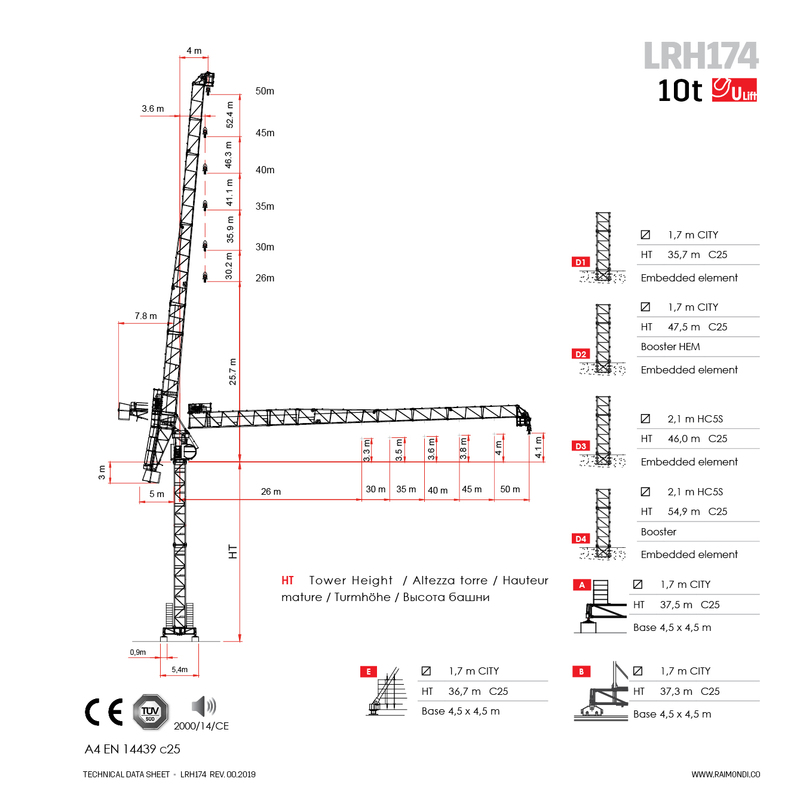 The reduced out of service radius is a major advantage of this crane: the LRH174 has an out of service of only 10 meters when compared with a traditional luffer at minimum double that radius. The hydraulic luffer boasts much easier installation, similar to that of flattop tower cranes, due to the lack of A-frame and tie rods used in traditional luffers. The jib is assembled at ground level in only one lift, so that the assembled jib and hoisting winch may be raised. Preparation of the jib, hoisting winch and rope reeving are all completed at ground level reducing work at height requirements, while the hydraulic system provides end users with smooth and speedy luffing movement. Raising the jib to 85 degrees takes only 1.8 minutes due to the powerful hydraulic unit installed in the LRH174. 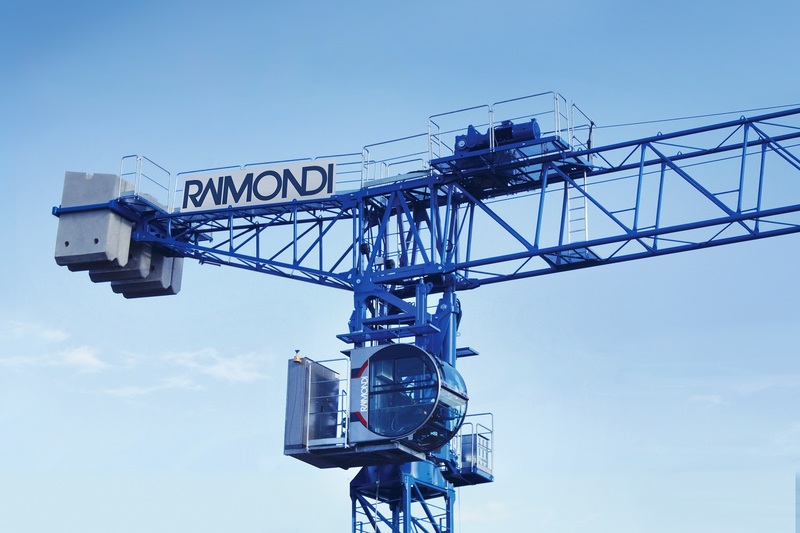 The crane houses the new generation Raimondi safety control system. Fully electronic with redundant sensors that allows the crane to operate at the safest possible levels, the safety control system’s capabilities exceed existing heavy lifting machinery industry standards.